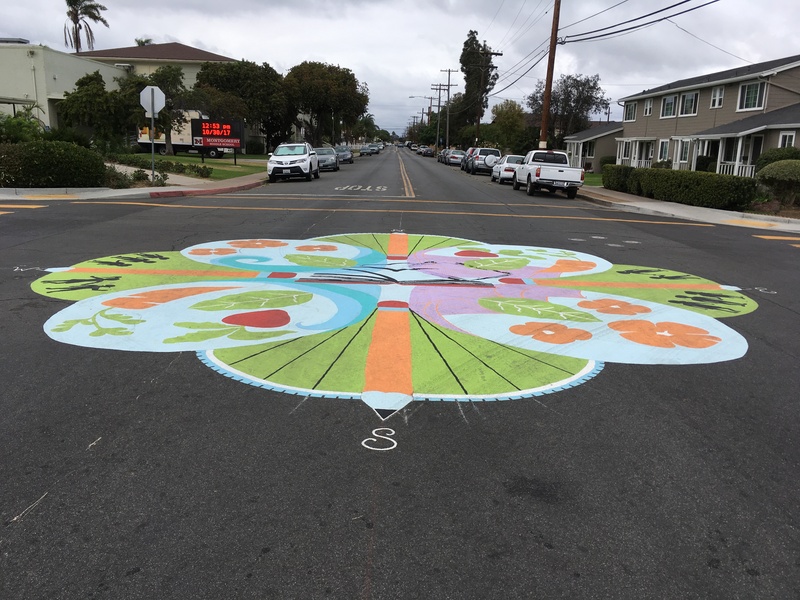 The intersection mural was painted in the intersection of Ulric Street and East Jewett Street near Montgomery Middle School. 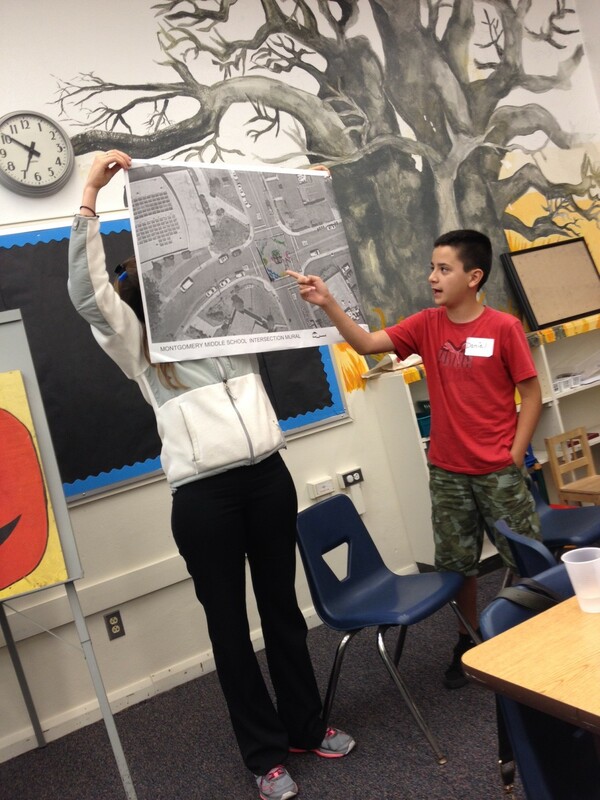 Bayside Community Center has received a grant for $1500 from San Diego Association of Governments’ (SANDAG) Walk Ride and Roll program. 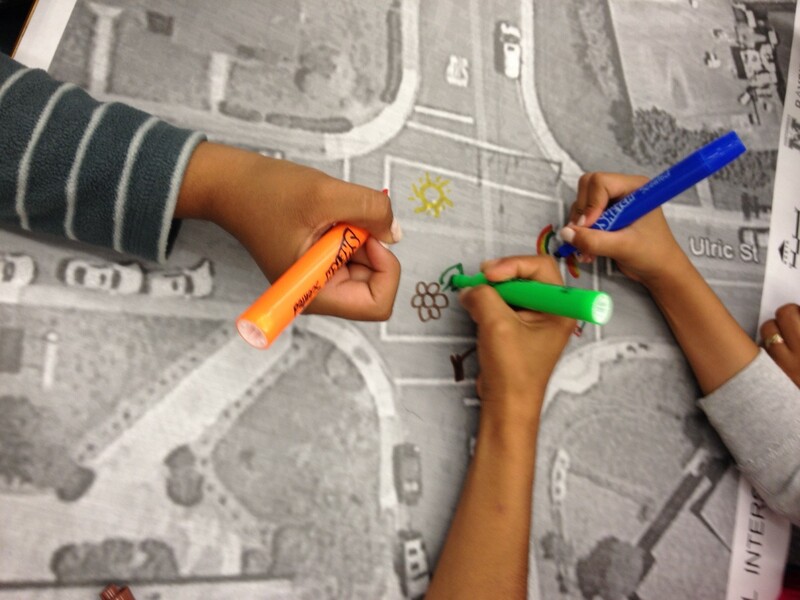 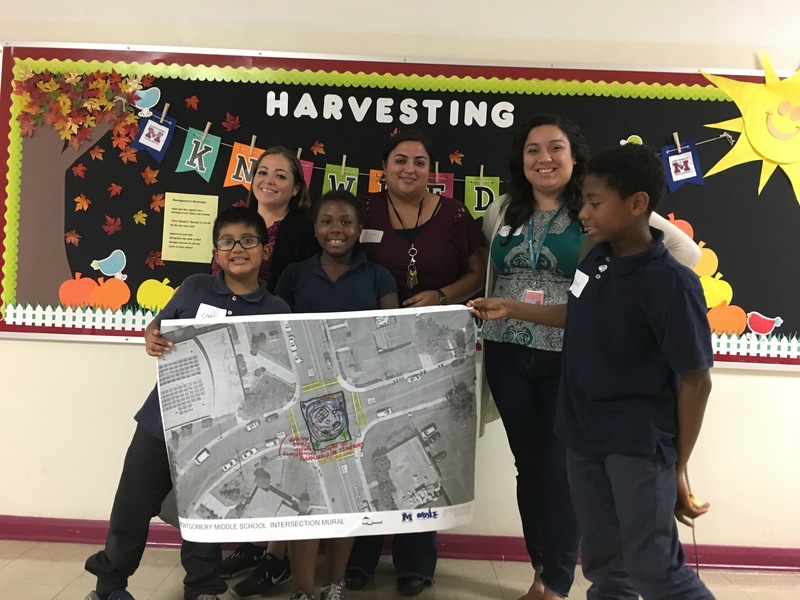 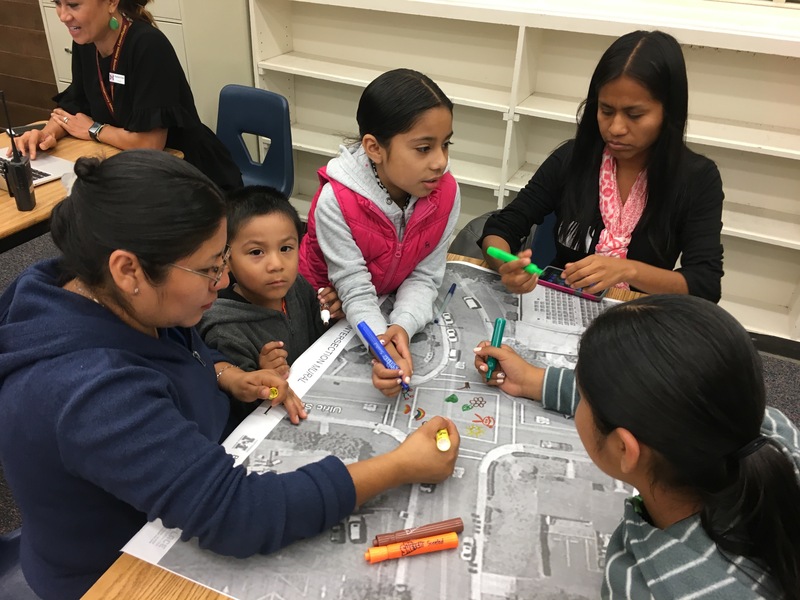 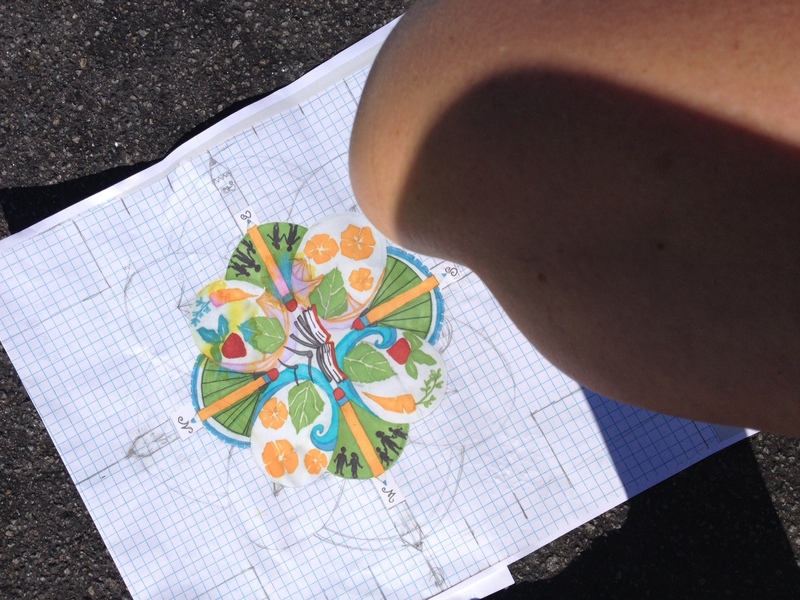 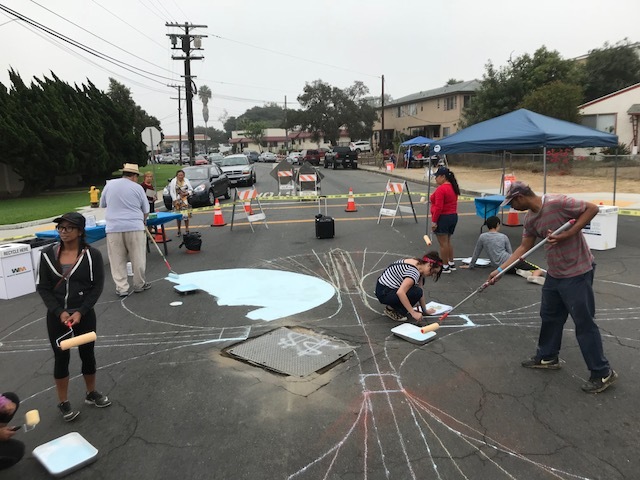 The Linda Vista Intersection Mural Network seeked to gain valuable community input through interactive visioning workshops in which participated in creating a mural design. 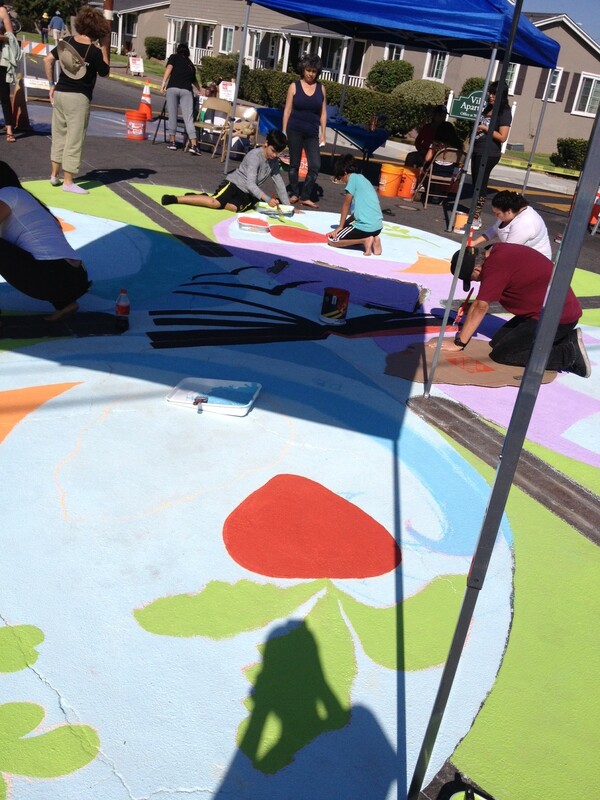 Installation of the mural was by a directed by a local artist and integrated community resident assistance.